The Henry House is a two-and-one-half storey, three bay façade, Halifax House style stone house with a truncated gable roof and three attic windows at either end. The house is located on Barrington Street, a main street in the downtown south end of Halifax, Nova Scotia. Both the building and its surrounding property are included in the provincial heritage designation. Henry House is valued as an excellent example of the Halifax House architectural style. It is a typical freestanding two-and-one-half storey stone house with a granite façade and ironstone sides, following a style developed in Halifax by Scottish masons. The house was built in 1835 by well known Halifax mason and land owner John Metlez. The two-and-one-half storey house is also valued for its rare surviving freestone construction with a granite block façade and ironstone on either side. The three attic windows in the gable wall and limited decorations throughout are consistent of the Halifax House style. The elevation is square with three windows wide and the house is deep from front to back. The main floor is raised above street level with an asymmetric front door within an enclosed porch, added in 1870. 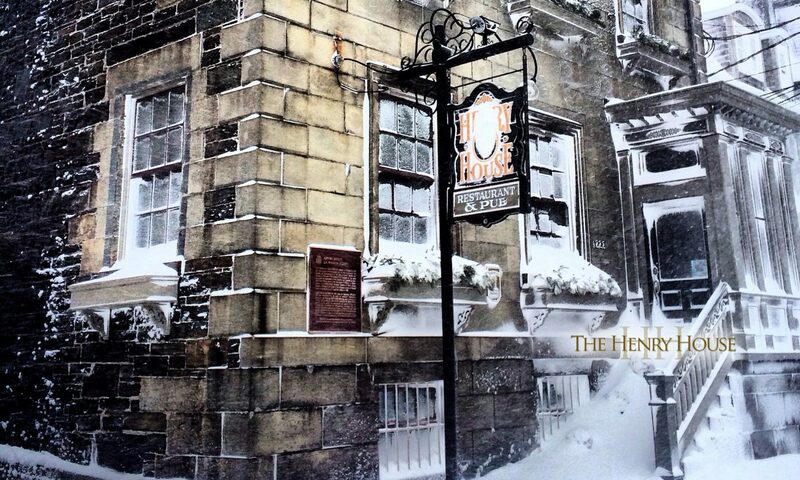 Since 1968 the building has had a commercial use, housing the Henry House Restaurant and Granite Brewery Pub. Henry House is also valued for its association with influential government officials, including William Alexander Henry. A Halifax native, Henry and his family lived in the house from 1854-1864. Henry held numerous highly distinguished positions throughout his public career including: one of Nova Scotia’s Fathers of Confederation; Provincial Attorney General; Mayor of Halifax; member of the Provincial House of Assembly; co-authors of the British North America Act; and was the first Supreme Court Judge of Nova Scotia, a position he held until his death in 1888. Henry House is also valued for its location in a mainly residential area of Halifax that was originally home to many Nova Scotian politicians and merchants. It is a significant reminder of a formative period in the history of Halifax and Nova Scotia. The house is located on Barrington Street and is a few blocks from Government House and across from Cornwallis Park. Source: Notice of Registration of Property as a Provincial Heritage Property, Provincial Property Heritage File no. 261. – deep plan from front to back. Copyright © 2019	The Henry House. All rights reserved.